Located just a 15 minute drive from Weymouth, a short distance past Warmwell holiday park, is the village or Moreton. It may be only small but you can easily spend half a day here or longer visiting the walled garden, the ford and Moreton tea rooms. The easiest way to find Moreton is by Sat Nav using the postcode for Moreton Tea rooms. This is DT2 8RJ. Although it can get quite busy in the height of summer there are a number of places to park for free. Just before you arrive there is usually a sign for free parking on the left hand side, which leads to a large field. Out of the main season or at quieter times you can park outside the Tea Rooms and there is also parking at the walled garden and down the lane that leads to the ford. To get to the ford just walk past the tea rooms which are situated on the “main” road through the village and then turn left down the lane. The ford is about a 5 minute walk down the lane. 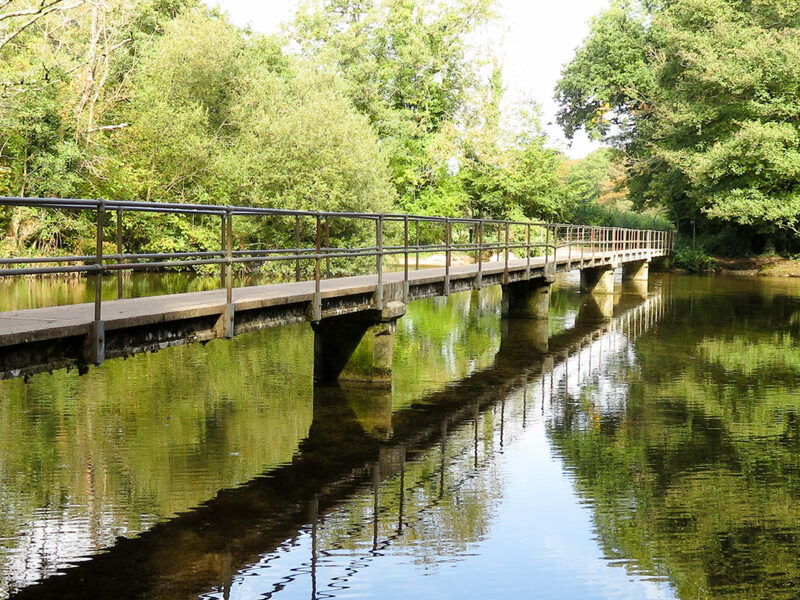 It is a great place to bring the children who enjoy padding in the ford (the water is very shallow), catching tiddlers, or if you bring an inflatable, playing on the water. There is also a rope swing overhanging the water for extra fun. The river bottom is very pebbly and can be painful on the feet so if you have any suitable footwear which you can get wet it is a good idea to bring it.